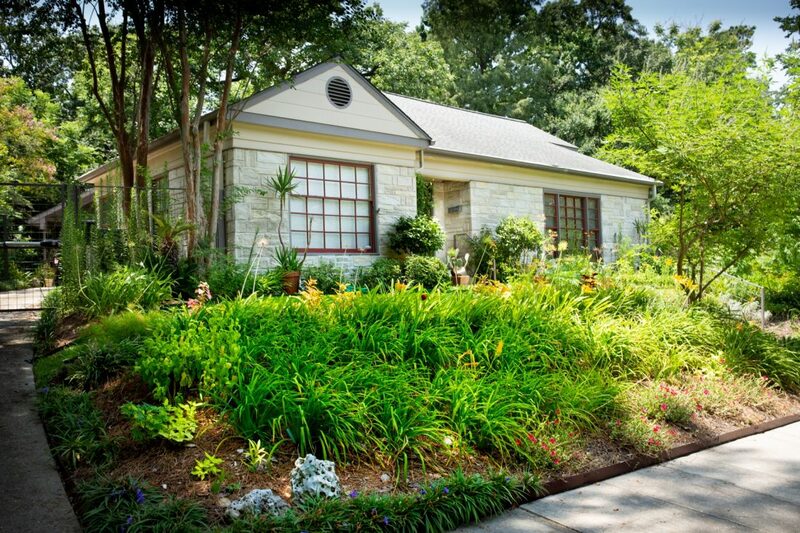 1704 Idylwood Drive was built in 1946 in the Minimal Traditional style. The one-story, three-bay house is oriented toward the east, and features an asymmetrical façade. Irregular in plan, the house rests on a slab foundation, and is clad in cast stone veneer with a gable-end vent. The windows are a combination of ten-over-fifteen, three-over-three, and nine-over-nine wood sash. The single entry features a six-light wood panel door. A one-bay inset porch at the entry has a concrete deck. The medium pitch hipped roof features a simple cornice, and the roof is covered in composition shingles. The landscape contains grass, shrubs, hedge, trees, and bedding plants. The house has been little altered and therefore retains its integrity and is a contributing element of the district. An original garage at the rear of the lot is significantly altered through the addition of a carport. It therefore is noncontributing to the historic district. This one-story, three-bay house is all about the three-level terraced garden, held together by retaining walls made of Harris County’s only native stone: broken concrete. 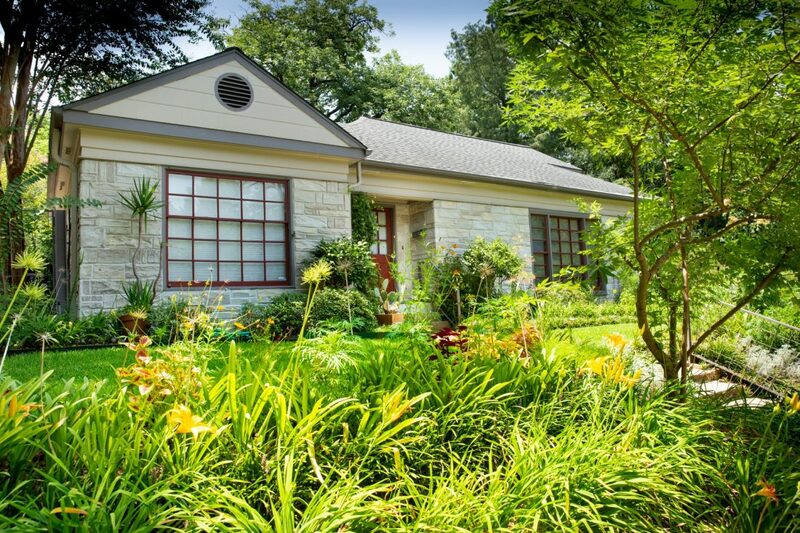 Built in 1946, the home was remodeled in 1993. Inside, along with stunning views of the garden, you will find a collection of paintings, drawings, and sculpture by Houston artists, plus folk art focused on modes of transportation, made of pottery and aluminum cans. You are welcome to roll down the hill.